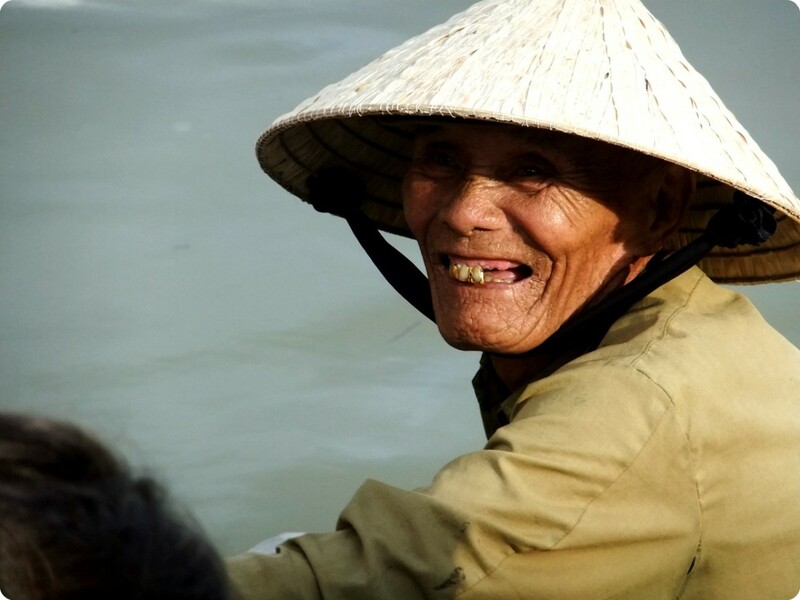 Kawai loves to explore the world, learning about new cultures, and taking awesome pictures along the way. 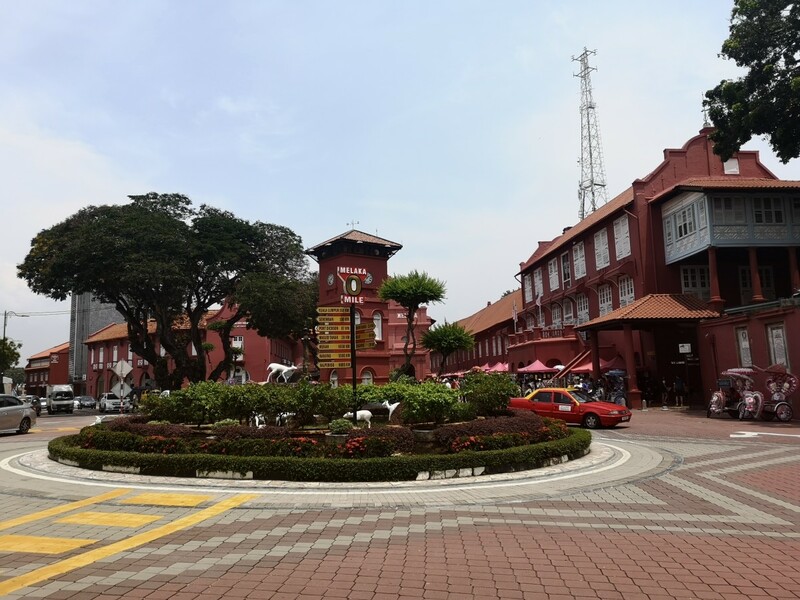 Melaka is a quaint little port city in Malaysia, which has a colonial past, with influences from the Portuguese, Dutch and British. 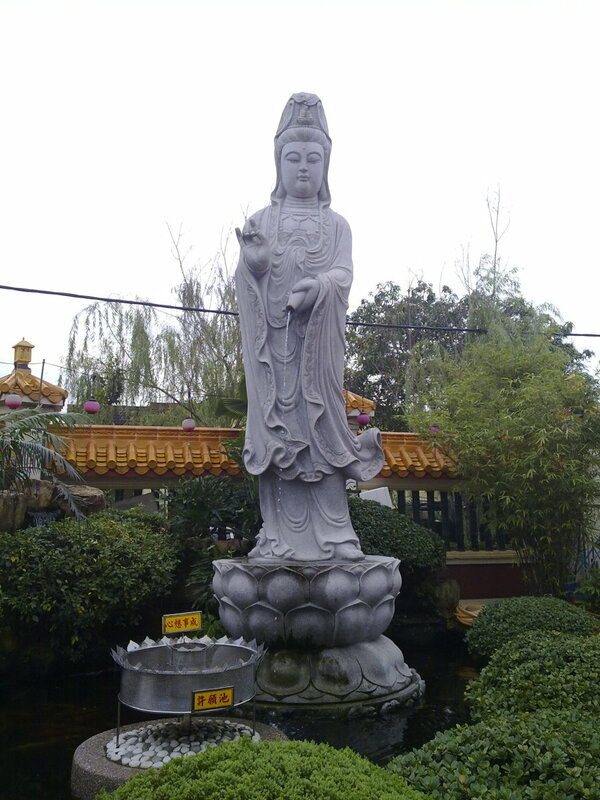 It is a popular weekend destination for many locals and foreigners due to its colorful history and its laid back environment - which provides the perfect setting to recharge and relax while still enjoying all the conveniences of city life. 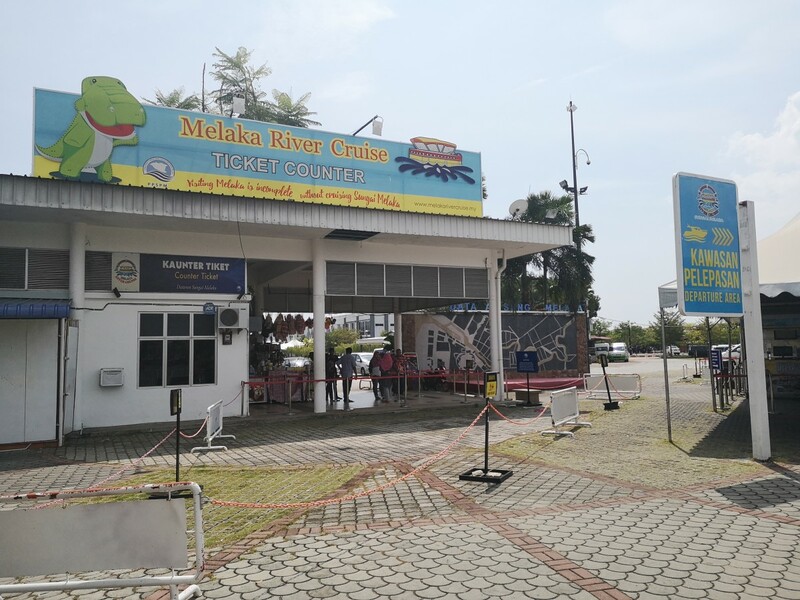 There are several ways to get to Melaka but the most convenient way is usually by bus or car. Flights to Melaka are mainly from Penang (a City in Malaysia) and Pekanbaru (a City in Indonesia). 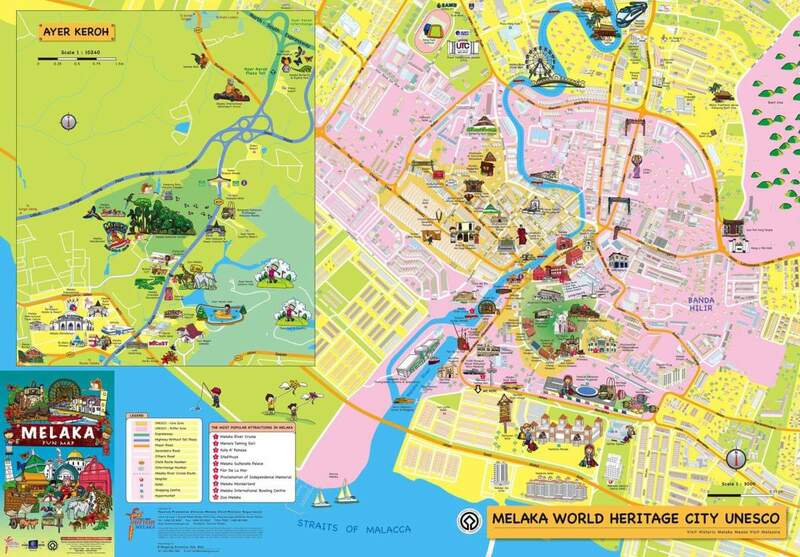 You can use either Sky Scanner or Trip Advisor to check out what are the flights available to Melaka. 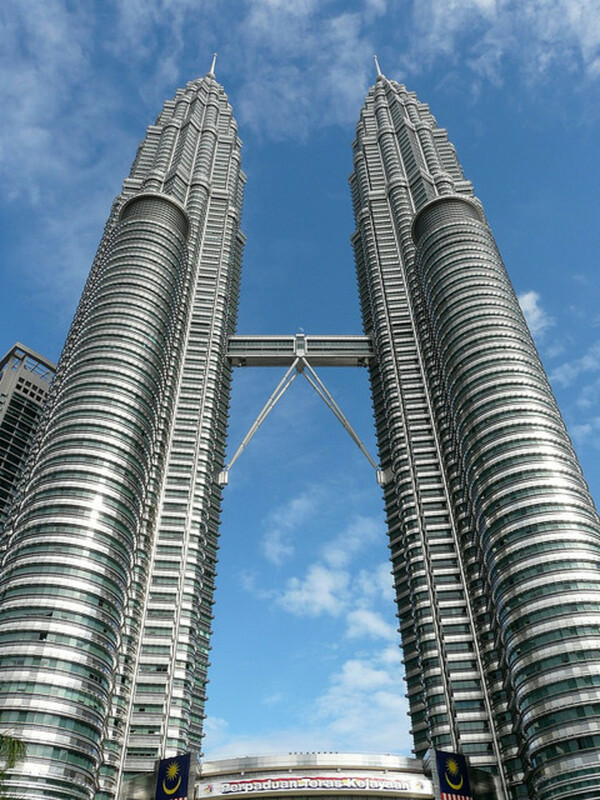 One of the nearest big international airports is the Kuala Lumpur International Airport (KLIA), situated at Kuala Lumpur (KL) , the capital of Malaysia. Currently there are 2 main airport terminals, KLIA and KLIA2, which are located 2km apart. 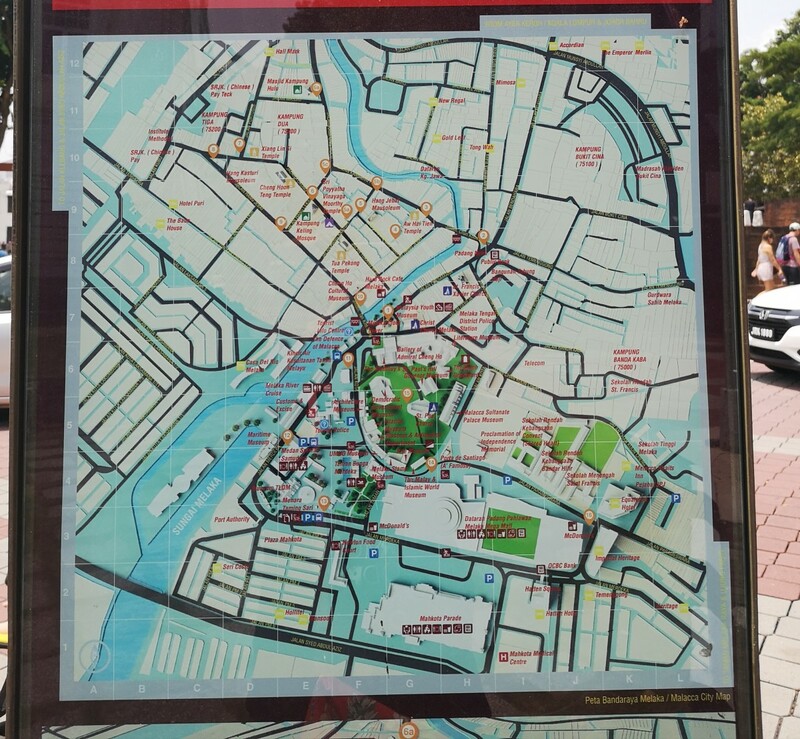 There are many buses that you can take from KLIA or KLIA2 to get to Melaka. Check out the comprehensive website here for more information. The journey from KLIA to Melaka would take about 2hours. You can refer to the above link on KLIA for bus services from KL to Melaka. If you are traveling from Singapore, there are couple of popular bus companies such as WTS, Grassland, Aeroline and Transtar. I think taking a coach is a more comfortable way to get to Melaka compared to private hired cars. The seats are generally pretty comfortable and some even have massage function and personal movie/video game entertainment (depending on the price of course). 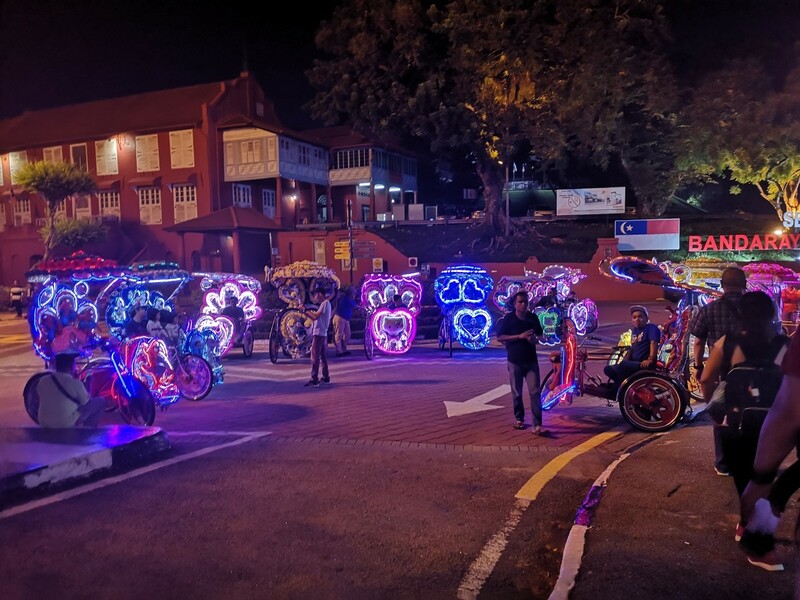 There are designated areas where you need to go to board the coaches, but generally when they reach Melaka, the coaches can send you all the way to the more popular hotels in Melaka (e.g. Hatten Hotel, Hotel equatorial, Novotel). 1) MST Transport - I didn't try this one personally but there are great reviews about it on TripAdvisor. However, it is on a slightly pricier side. 2) SGmytaxi - I personally tried this one as it is cheaper than the one above. The car was in acceptable condition although it was not a super comfortable ride (perhaps it was because 6 adults (including the driver), 2 babies and alot of luggage were squeezed into a Hyundai Starex). However, the service was good. The cars were punctual and drivers were friendly and polite. If you are driving in Malaysia, do be more vigilant and observe some basic rules. Drivers in Malaysia can be pretty gutsy so be patient if you are driving there for the first time. Don't get frustrated if people cut your lane or don't give way. Safety is more important. The speed limit on most stretches of the highway are 120km/hr but drivers can go really fast (up to 160km/hr) because there are not many high speed cameras. However, there is the occasional police car and some stretches with a camera. So don't get angry if a local car in front suddenly slows down. The local drivers seem to know how to spot a camera and may save you from getting a ticket. The highway is pretty well maintained and there are many proper rest stops and petrol stations so usually it is quite a pleasant drive. However, do be vigilant and exercise the usual precautions when you are on Malaysia highways. Always ensure you lock your doors when you stop (even if it is just for awhile). Don't leave your valuables in plain sight and don't stop your car or open your door for anyone if you feel something is suspicious. Check this against the legend in a separate picture for the different places of interest and some hotel locations. 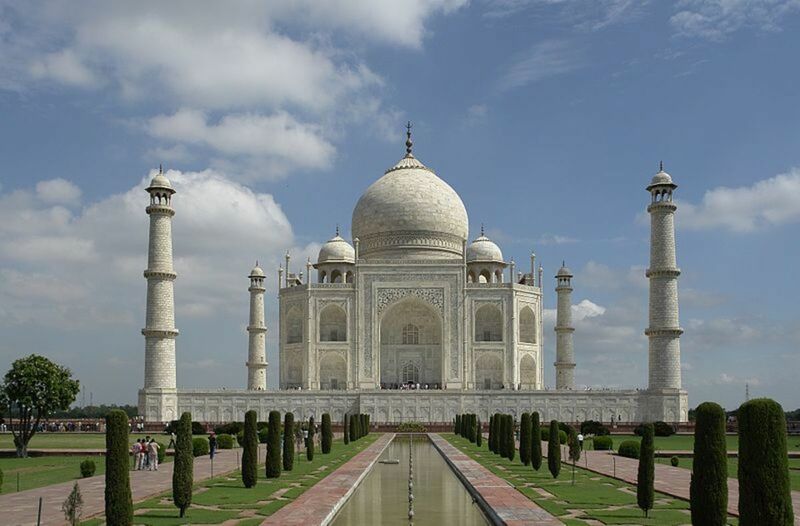 Legend for the places of interest and hotels available. You can refer to a separate picture to reference the grid location. 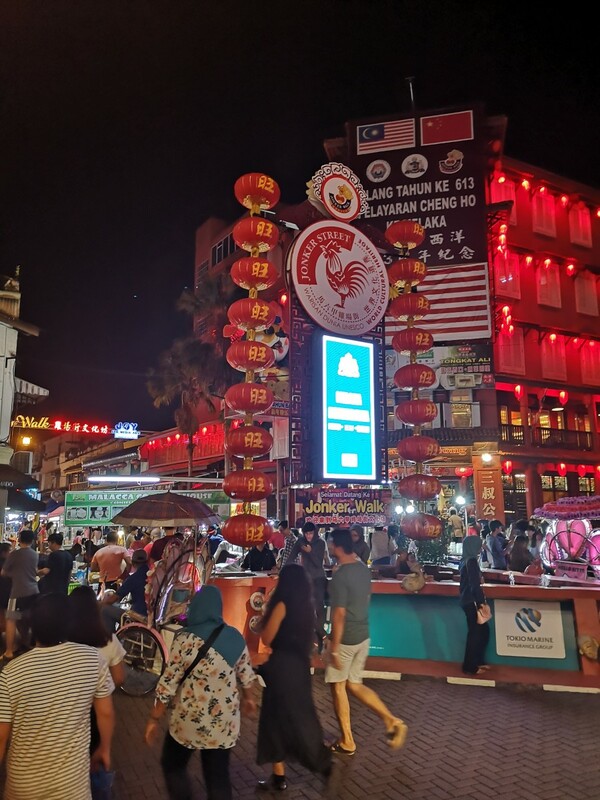 There are a couple of popular spots to stay in Melaka - near Jonker Street, along the Melaka River and near the main shopping malls in Melaka - Dataran Pahlawan Melaka Mega Mall, Hatten Square and Mahkota Parade. 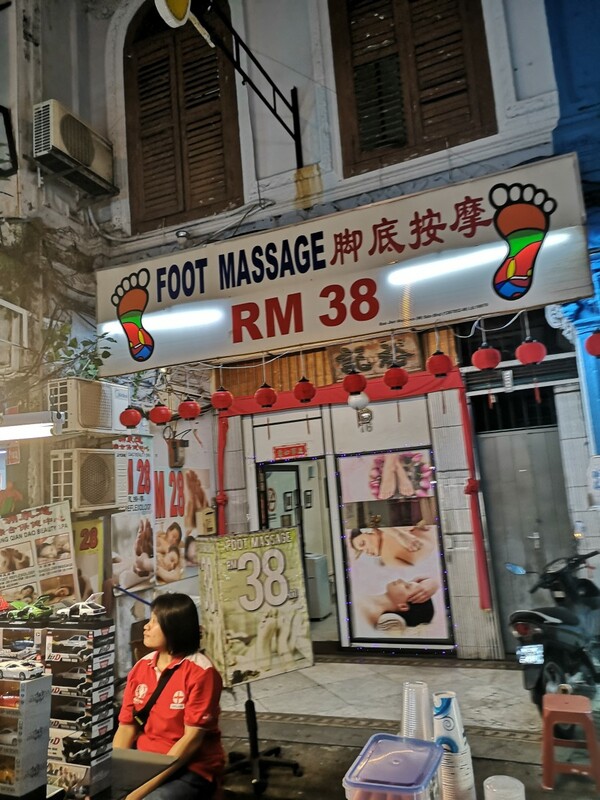 If you want to stay right at the heart of Jonker Street, be prepared for the noise from the bustling crowd especially when the night market is open. 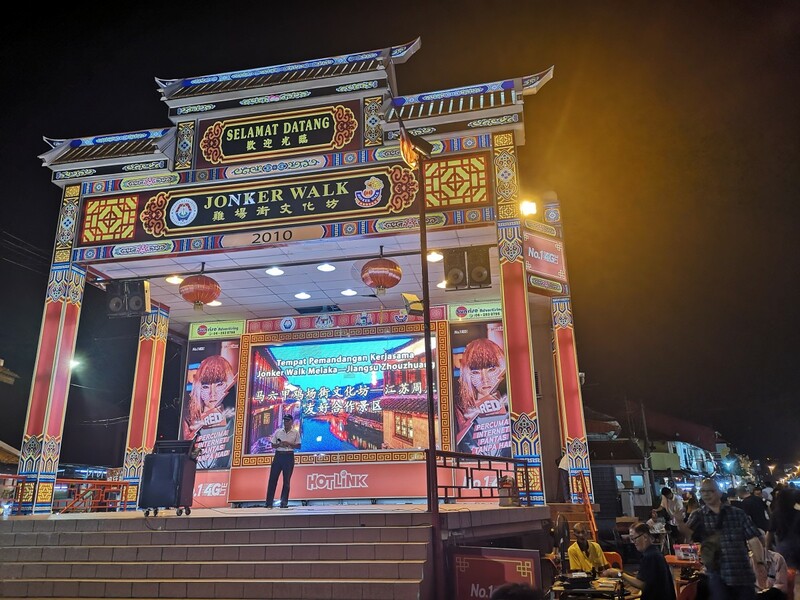 There is also a huge stage at the end of Jonker Street where anyone can go up and sing Karaoke. 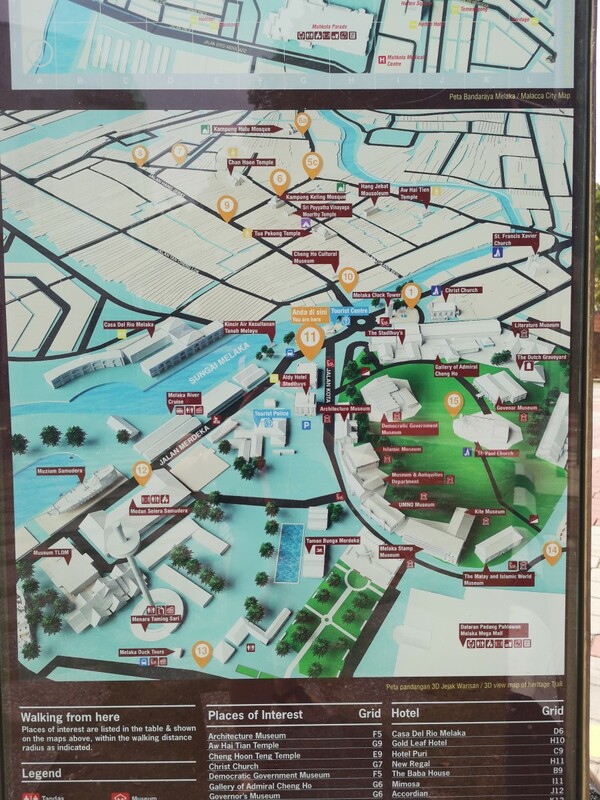 Some hotels near this stage include Fomecs Boutique Hotel and Jonker Boutique Hotel. My understanding though is that the stage will close about 9pm plus. 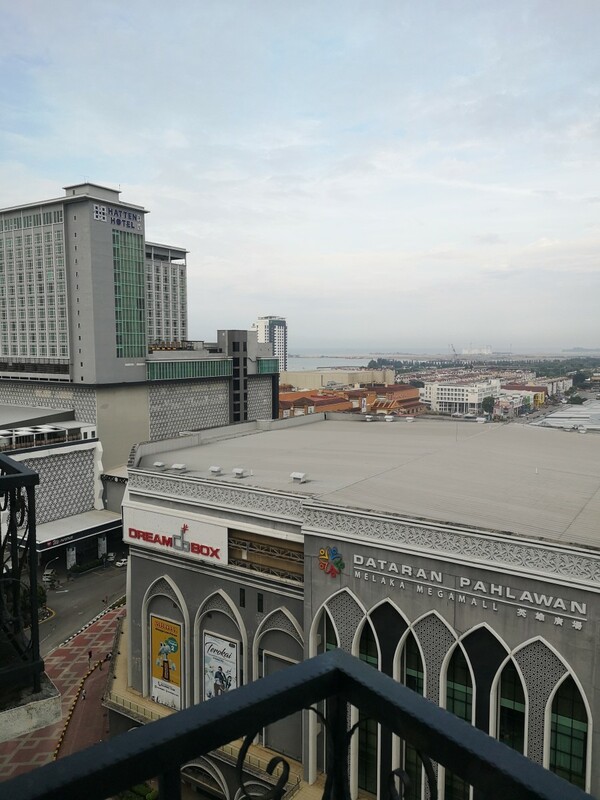 For greater convenience, it would be best to stay near Pahlawan Melaka Mega Mall, which is a newer mall compared to Mahkota. Nearby hotels include Imperial Heritage Hotel, Hatten Hotel and Hotel Equatorial (They are literally just across the street from the mall). Novotel and Straits Hotel and Suites are also nearby the mall (about 2 blocks down). 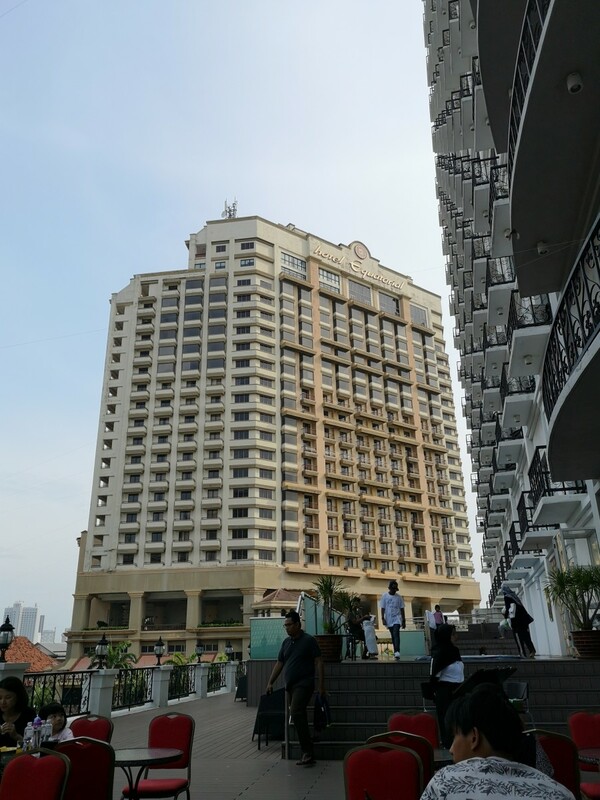 I personally stayed at Imperial Heritage Hotel and I did not really like it as the hotel was quite poorly maintained. 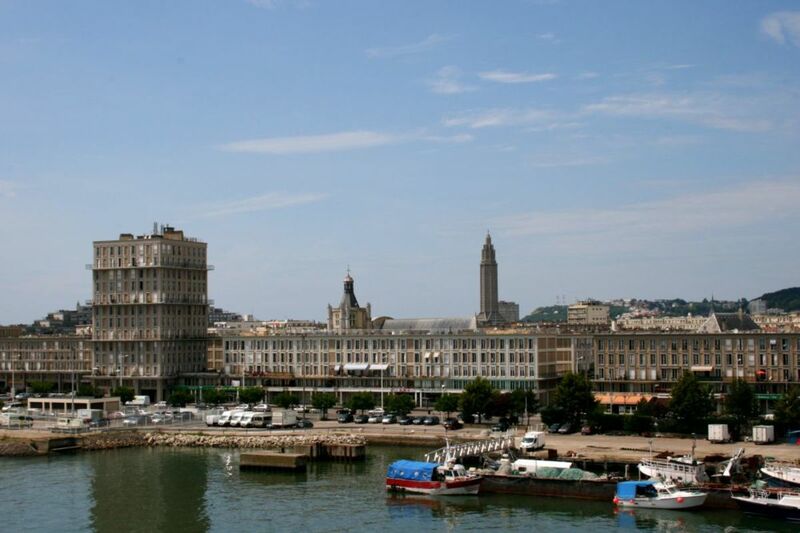 We chose that hotel despite some bad reviews because the location was good and Hatten Hotel was fully booked. We also needed an apartment instead of a standard size hotel room to accommodate the family. 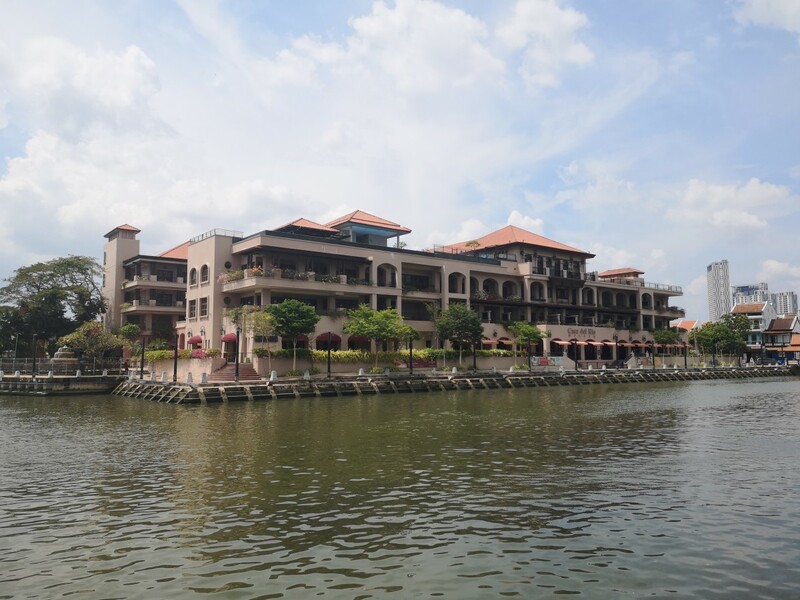 If you would like a more luxurious accommodation, the Casa De Rio Hotel along the Melaka River could be the place for you. 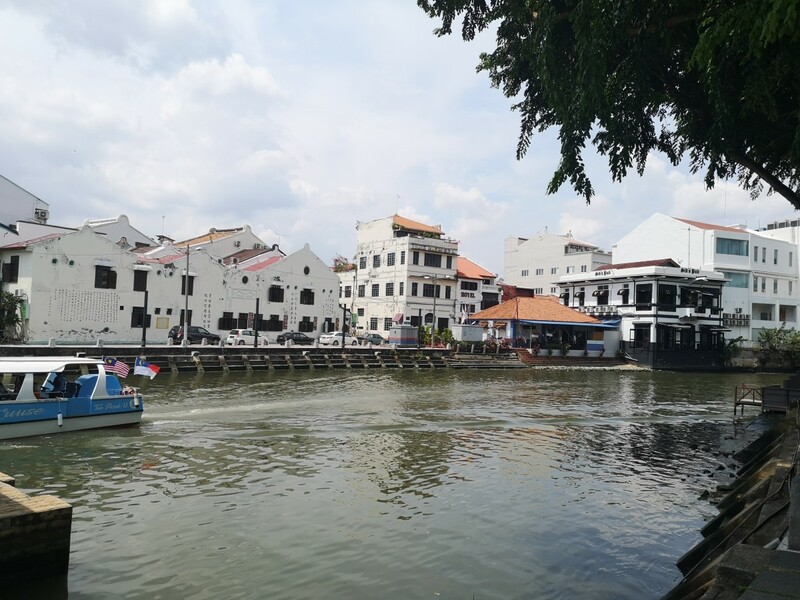 It's situated in a relatively peaceful location by the river, yet it is only a stone's throw from Jonker Street and about 10 minutes walk to the Melaka Mega Mall. 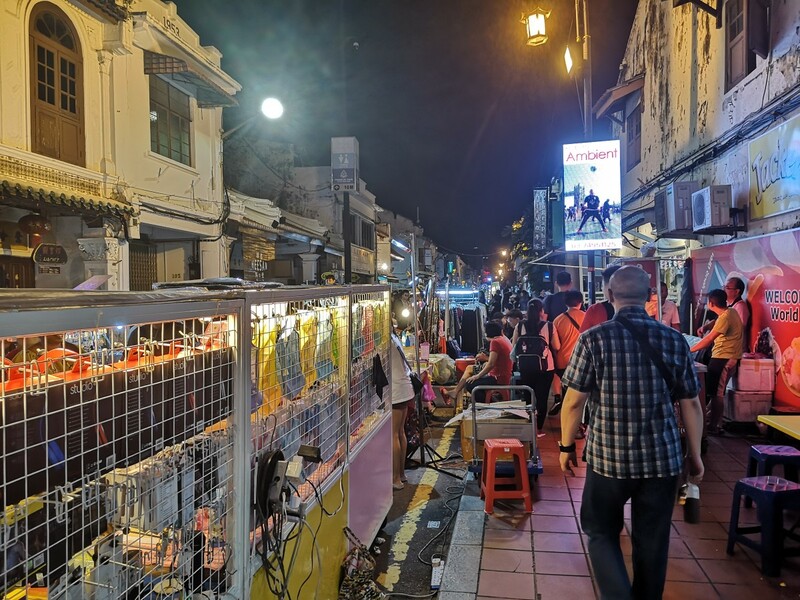 Jonker Street is the star attraction in Melaka, especially the night market, which is only open on Friday, Saturday and Sunday. 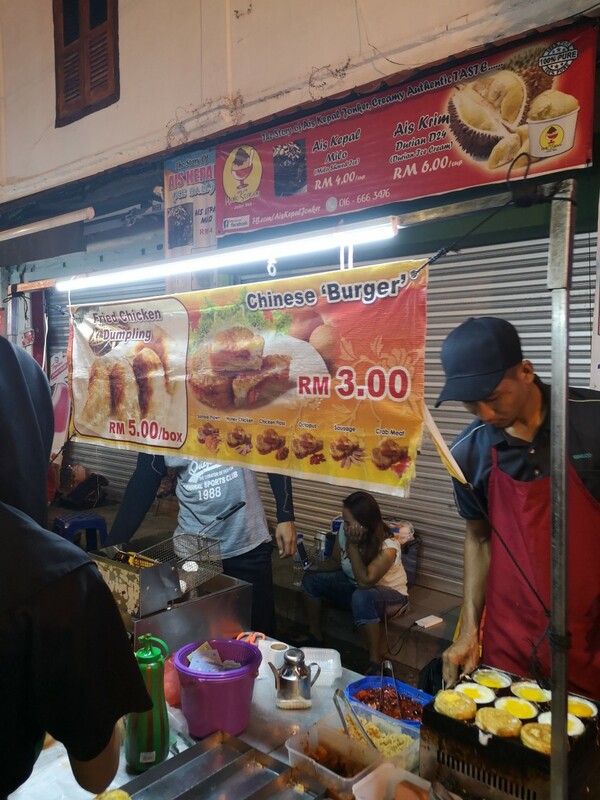 The shops (except for the pop up stalls that are set up on the road) at Jonker Street are also open in the day time. 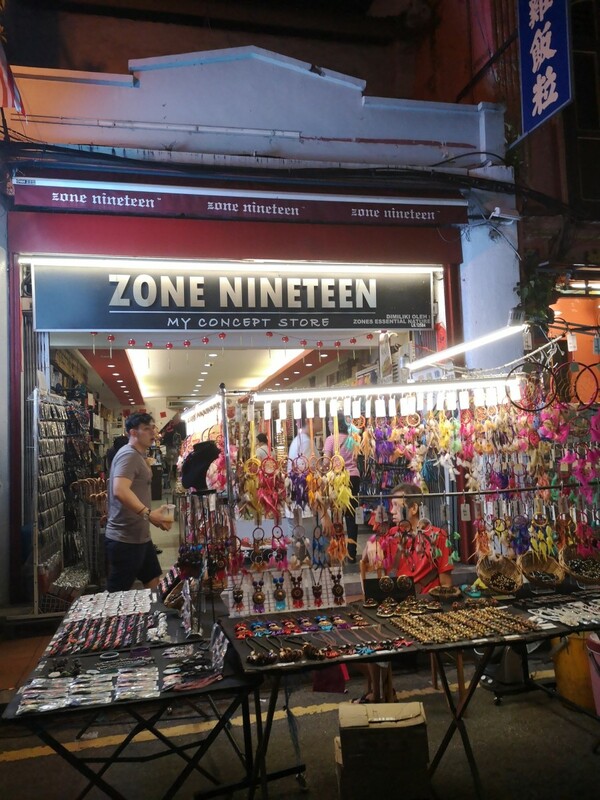 However, the road in the middle is open to traffic in the day time so do be careful when you are walking along the street and checking out the shop houses on both sides of the road. 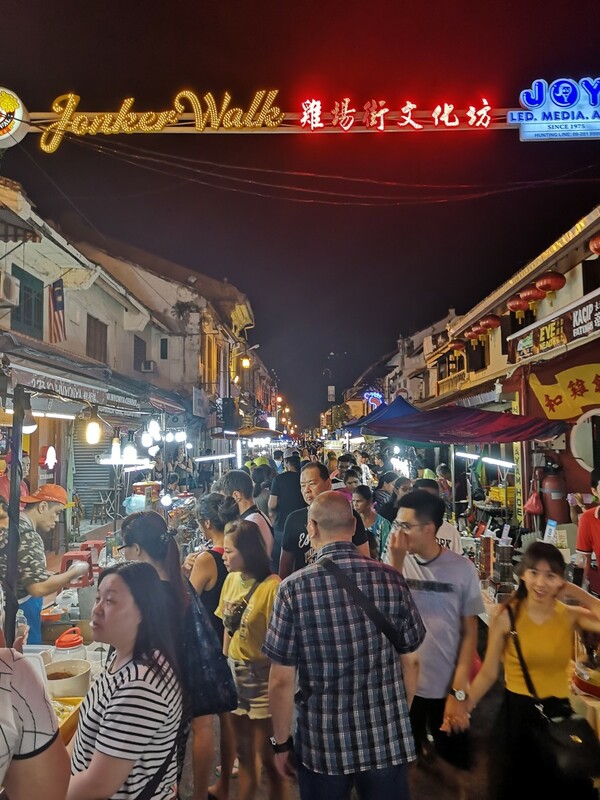 Jonker Street is a great place to look for souvenirs (food and non food items) Some popular food items include Gula Melaka (palm sugar) which can be sold in syrup or in block form. It can used to make desserts. 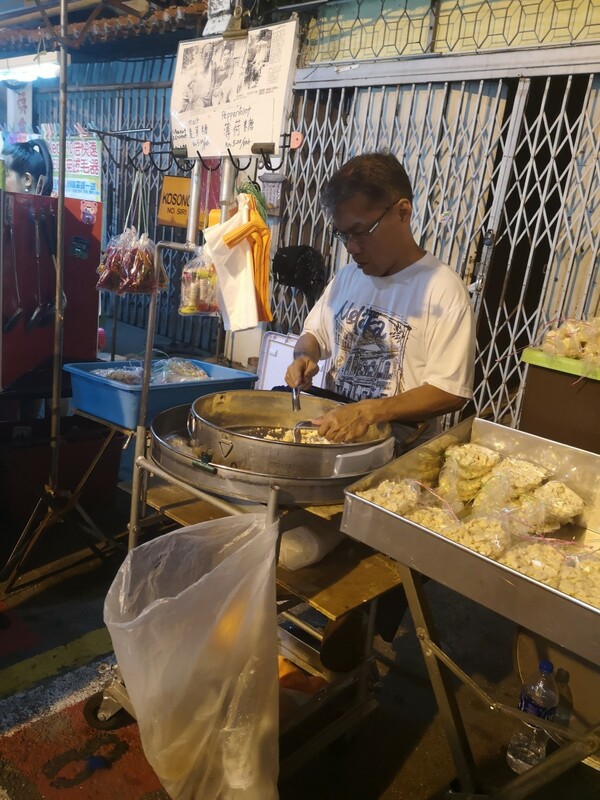 Other popular food items are pineapple tarts, Gula Melaka or coconut flavored cookies (which I tried and are delicious), Mah Ti Su (Horseshoe Biscuit which is made of water chestnut) and Dou Sha Piah (Green Bean Biscuit). For the more adventurous, I also saw durian flavored coffee! 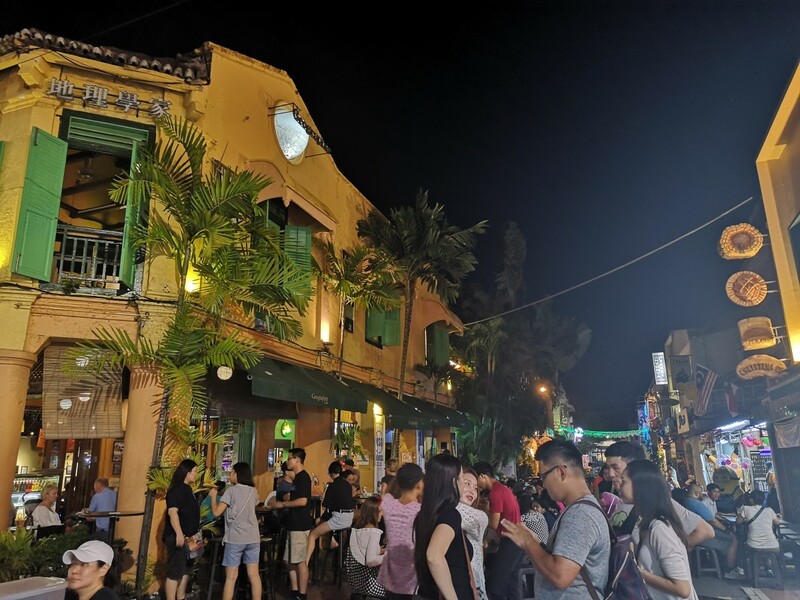 When you are in Melaka, there are a couple of must tries that you should cover to make your Melaka trip more complete. 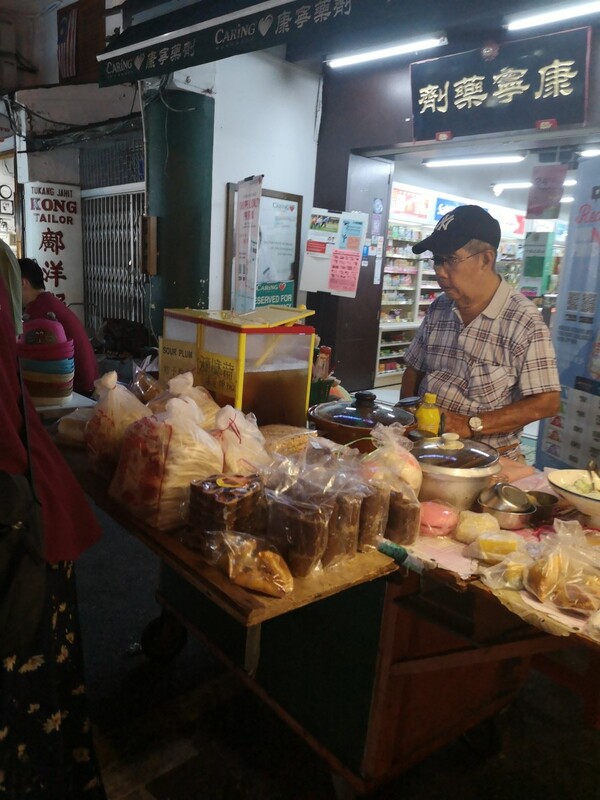 These include Nyonya (also known as Peranakan) cuisine and local popular dessert called Chendol. 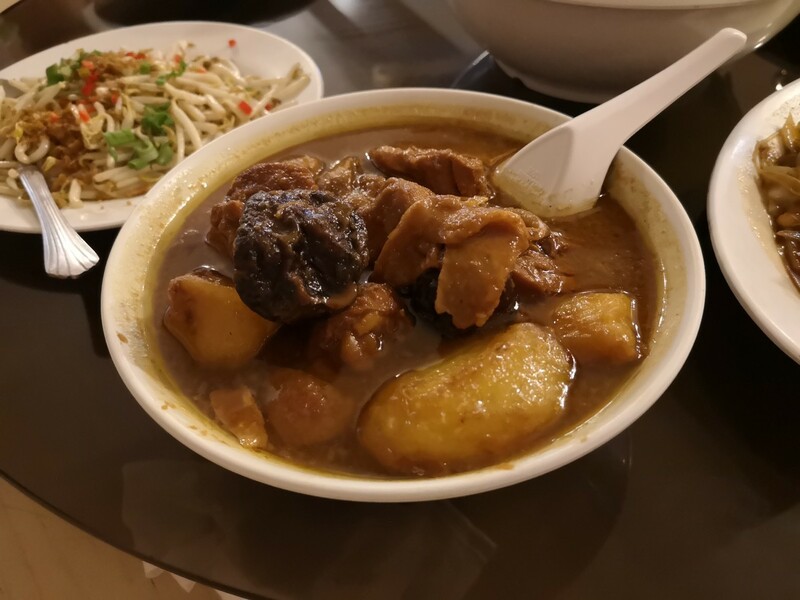 Nyonya cuisine comes from the Peranakans, who are the descendants of early Chinese migrants who settled in parts of Malaysia such as Penang and Melaka, as well as Singapore and Indonesia, and married local Malays. 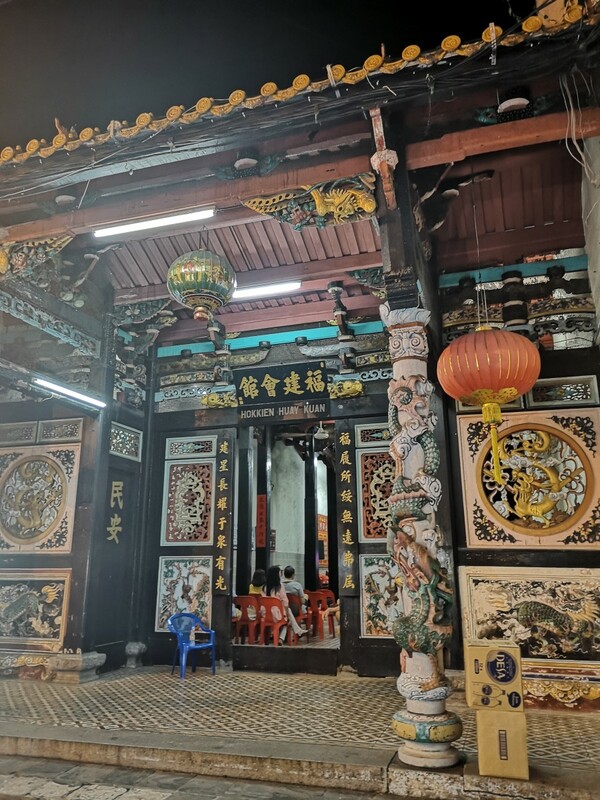 Peranakan traditions are a mixture of Malay, Chinese and other cultures. 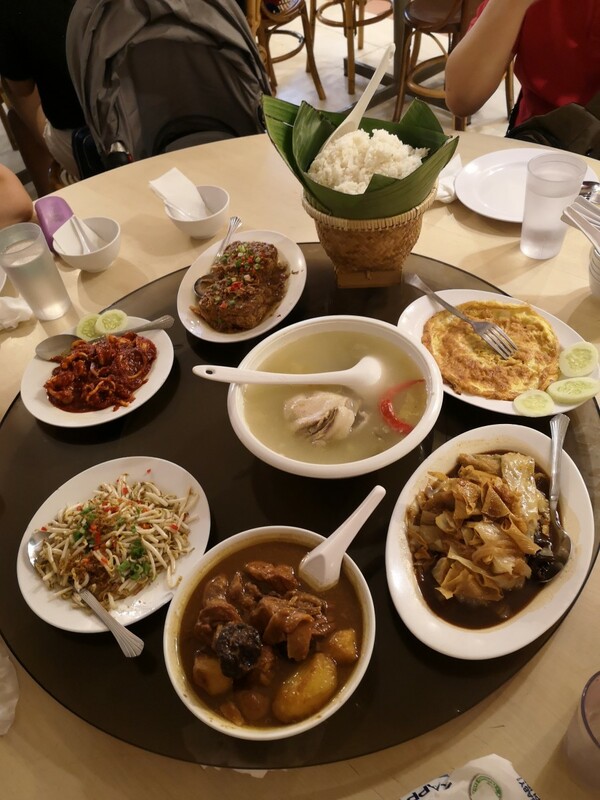 Nyonya cooking consists of a combination of Chinese, Malay and Indonesian cooking techniques and ingredients resulting in food which is rich in flavor, with its assortment of spices and herbs. 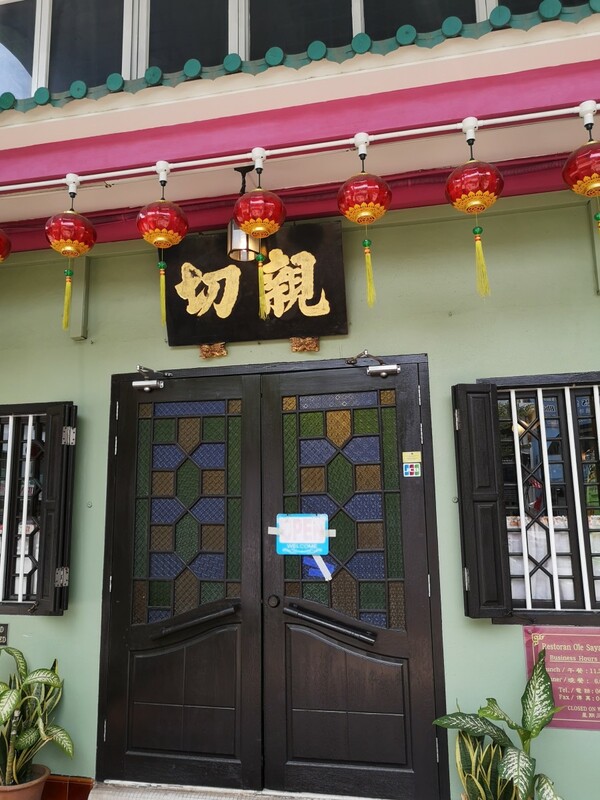 The more well known Nyonya restaurants in Melaka are Aunty Lee, Seri Nyonya Restaurant, Nancy's Kitchen and Ole Sayang. 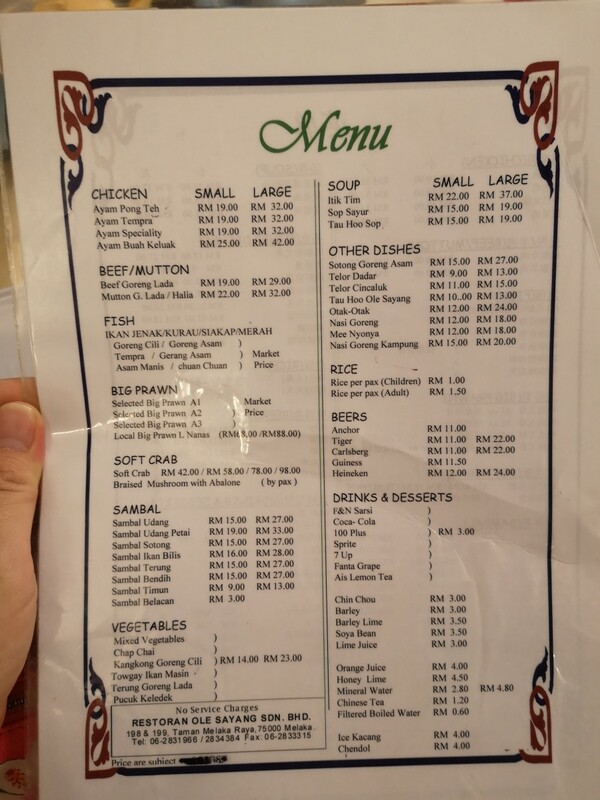 I only tried Ole Sayang as it was nearer to my hotel (Imperial Heritage Hotel) . The review for Ole Sayang on Trip Advisor is average but we had a pretty decent dining experience and the food was great. 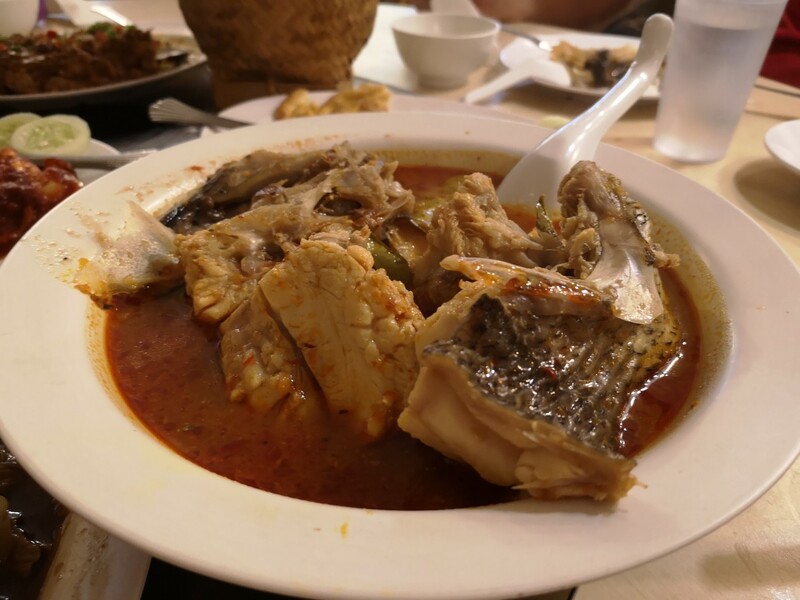 My personal favorite was the Aysam Fish (Fish with some spicy sour sauce) and the Ayam Pong Teh (Chicken and potato stew). 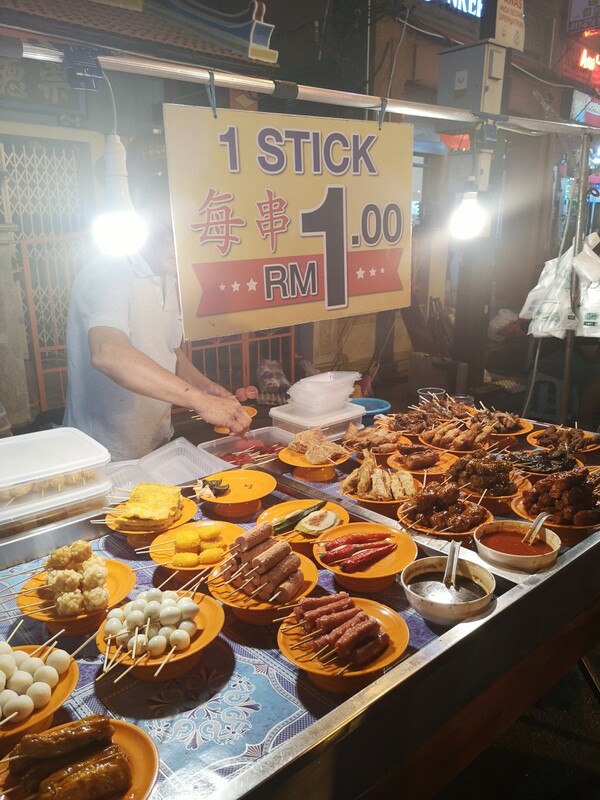 There is alot of street food at the Jonker Street night market so you can consider skipping a sit down dinner and trying the various types of food. There is steamed dim sum, bbq food on a stick, burgers, desserts and I even saw this vendor selling homemade sushi. 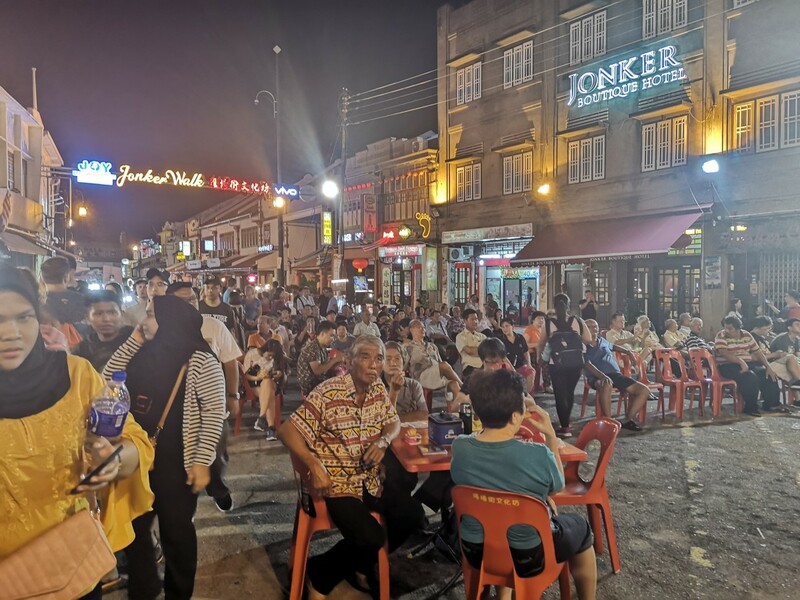 There are also some pubs at Jonker Street that you can sit and rest from the crowd. Do you think Meleka is worth a visit? Yes, I have been there and love it! No, I have been there and it's not that great. 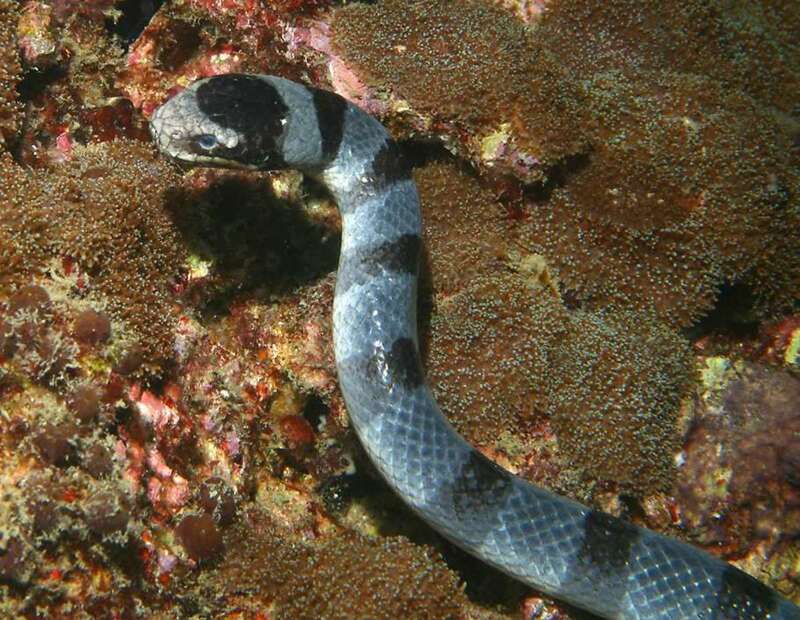 Yes, I have not been there but it looks interesting. No, I have not been there but it does not appeal to me. 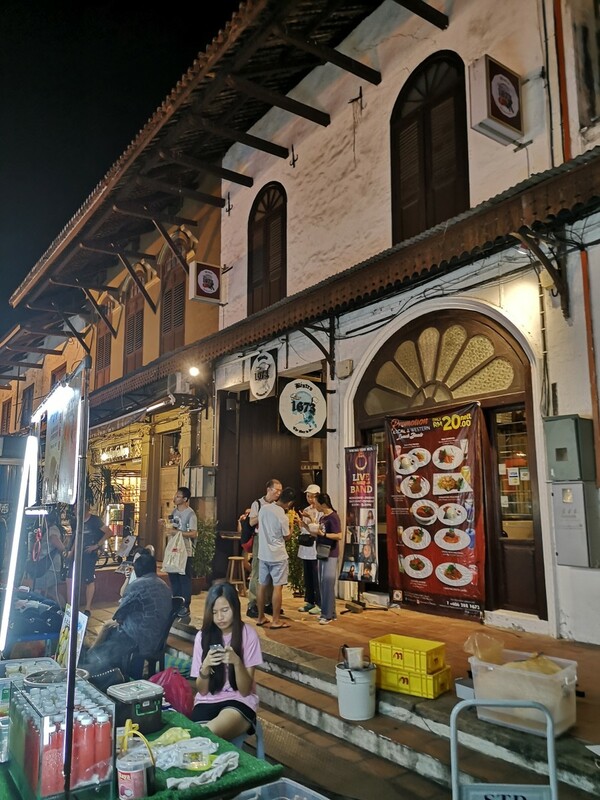 This is one of the most famous establisement in Melaka, with locals and tourist flocking to this place to eat their Nyonya Laksa and Chendol. However, be prepared to battle your way around and fight for a place to sit. 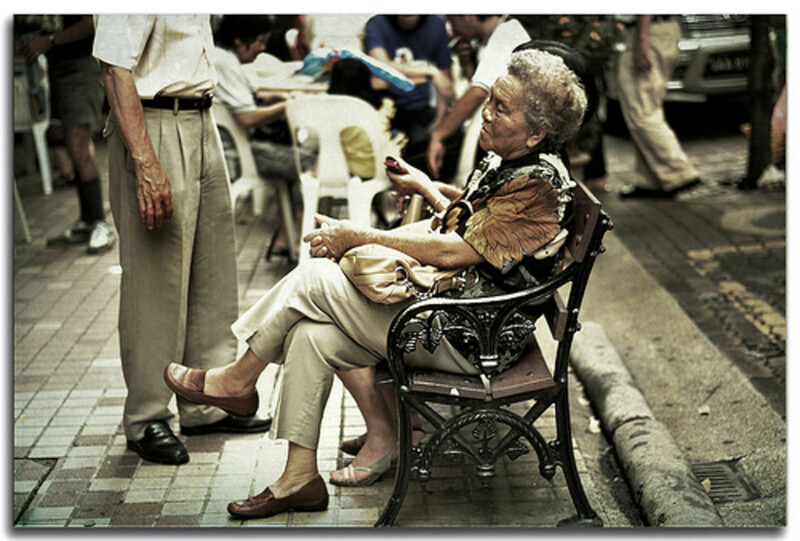 Most people will share tables and sit wherever is available. I didn't try the Laksa, although most online reviews think it is one of the best. 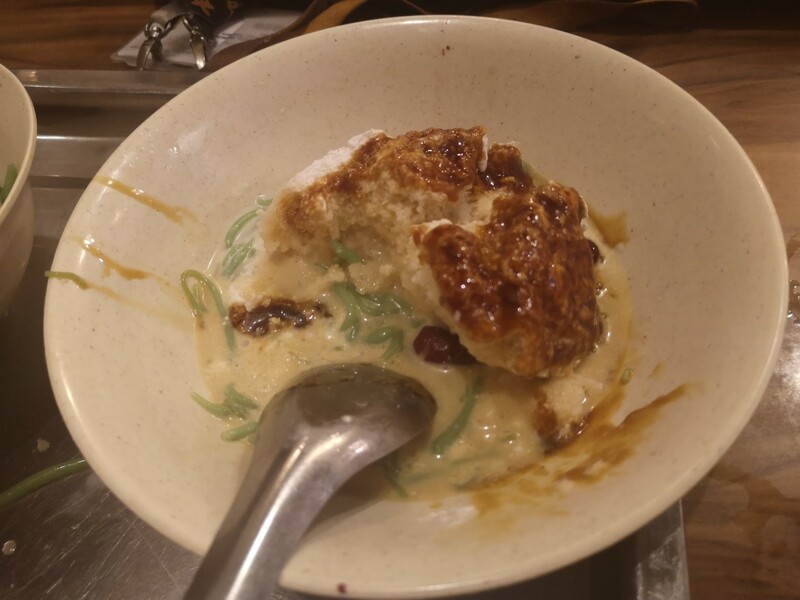 I tried the Chendol which was great but frankly, I could probably get almost similar quality without having to fight my way in. The fried assortment of tofu, fish cake and ngoh hiang together with the sweet and not so spicy sauce was delicious. Overall, it was pleasant food although I would try to avoid the busy weekend crowd so I could enjoy my meal better without having people to eye ball my table every other second, hoping that I could vacate the table faster. I think due to its popularity the popular items like Laksa gets sold out really early. So I would also suggest that you go there in the early afternoon. 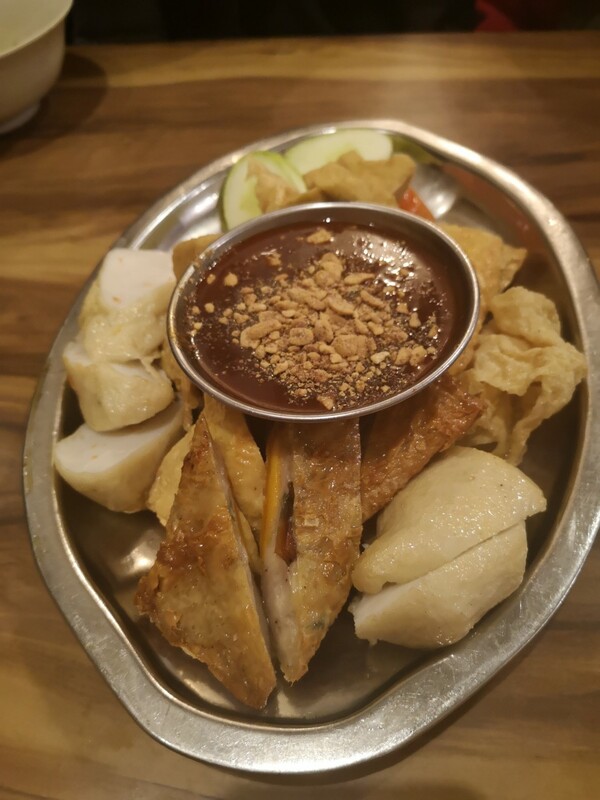 Fried assortment consisting of tofu, fish cake and ngoh hiang e.g. 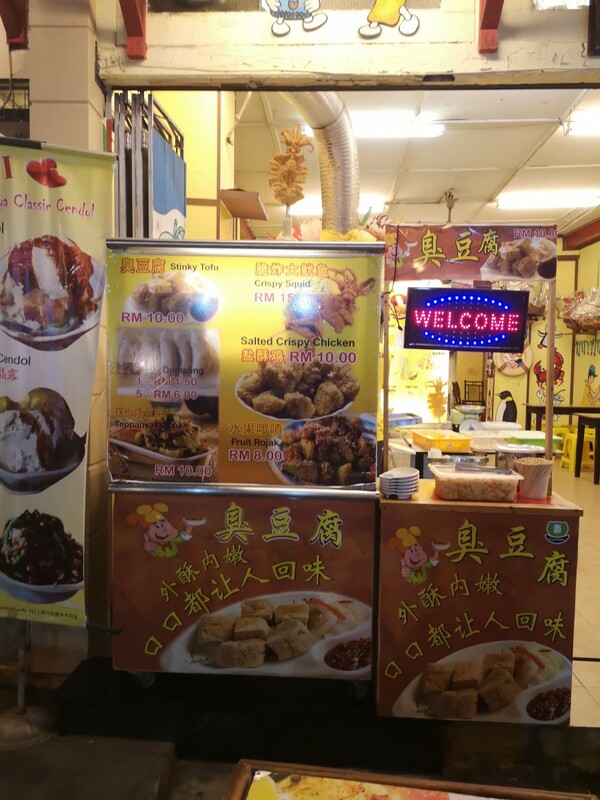 1) Chicken Rice balls - You can try this other Melaka favorite at Hoe Kee Chicken Rice Ball and Chung Wan Chicken Rice Ball. 2) Satay - This is basically meat such as chicken, beef and lamb cooked over a charcoal flame. 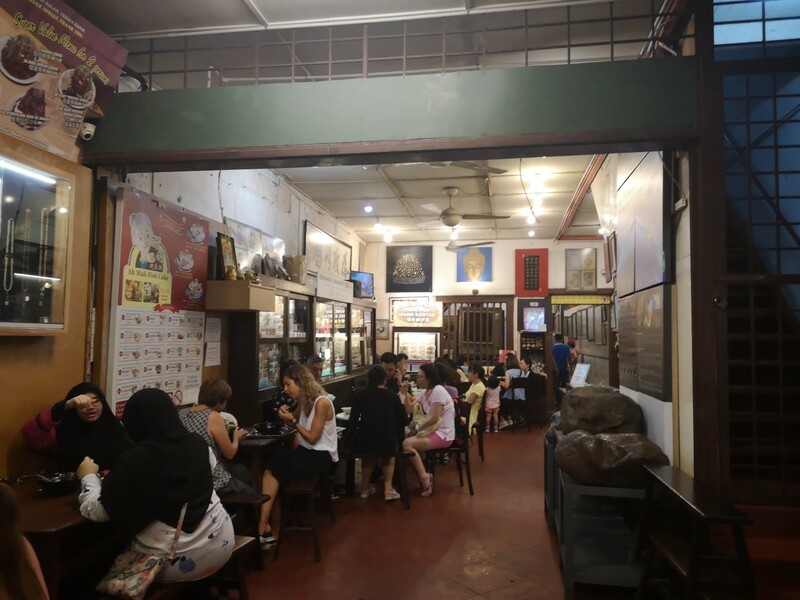 One famous Satay House is the Sun May Hiong Satay House. 3) Wanton Mee - Melaka has its own unique version of this yellow noodle with dumplings and char siew. 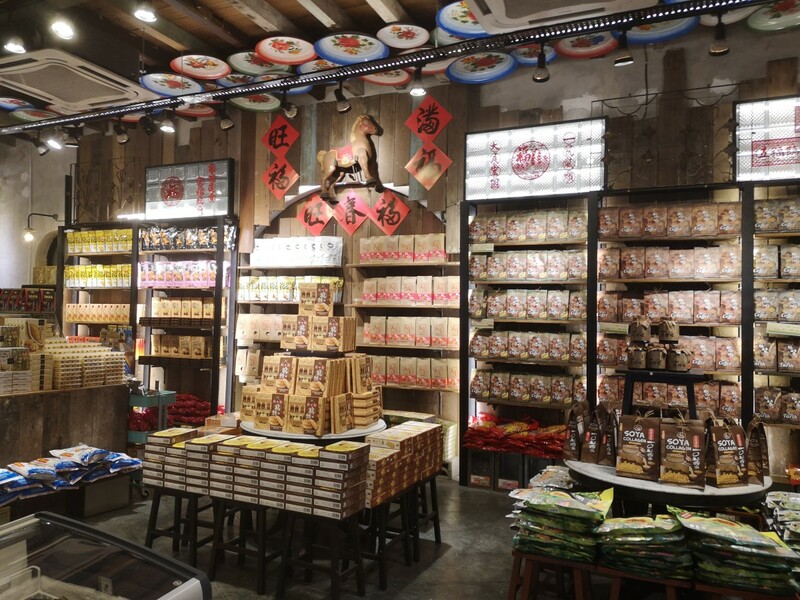 Check out a listing of the best wanton mee in town here. Remember that there are 2 different spellings for Melaka. 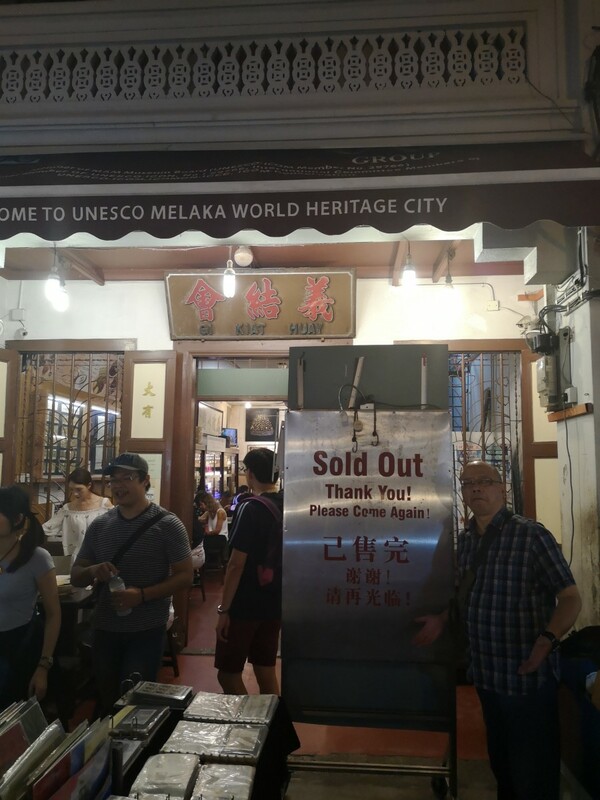 The alternate spelling is 'Malacca", although the official spelling is now Melaka. 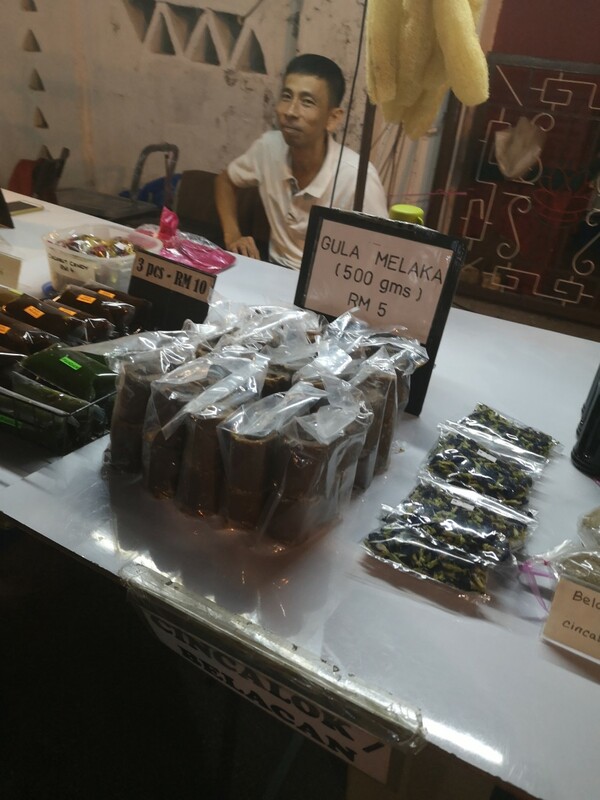 When you search for information on Melaka (e.g. checking for flights) , do use different spellings to ensure you are doing a comprehensive search. Very nice article! I think Malacca is one of my favorite states in Malaysia to visit because of history and heritage. 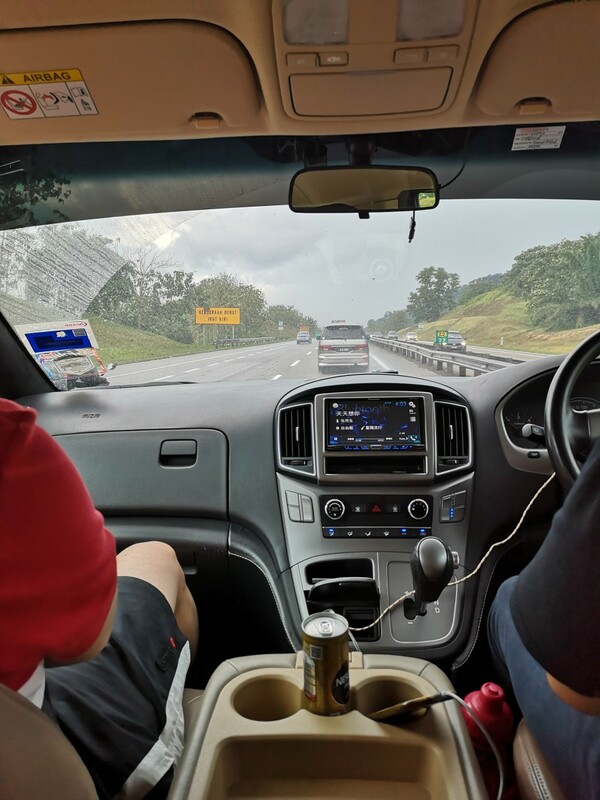 Many years ago, I went to Malacca from Kuala Lumpur with my friends by driving. But, we made the wrong choice by going there during the Public Holidays. Lol. We should've known better! 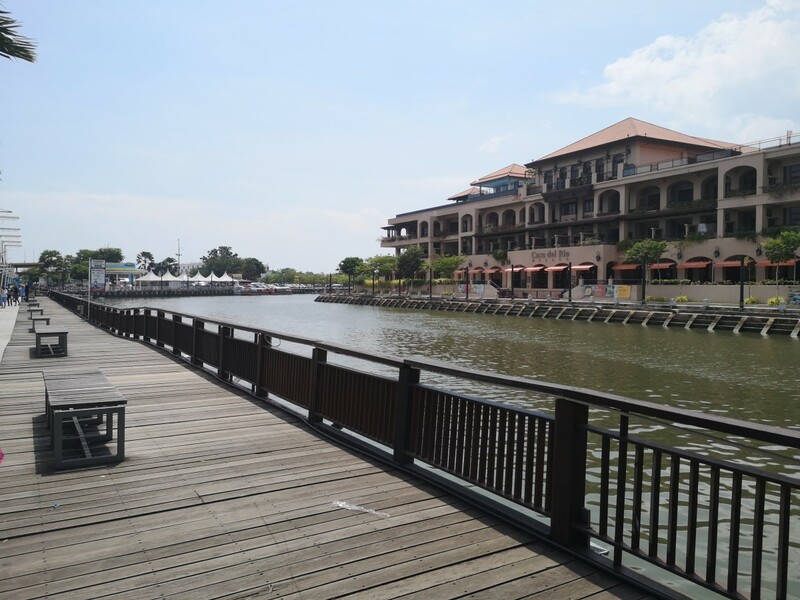 However, it was a very best time we had after many years we didn't visit Malacca. Thanks for sharing. The food looks delicious! Perhaps one day I will get to visit this exciting place. You give great advice as well as good quality illustrations.